Crepe Myrtle is a beautiful and hardy flowering tree that can be grown almost anywhere in the United States. They’re especially popular in the South, where you’ll see them in front yards, parks, and along sidewalks because they do so well in the Summer heat! 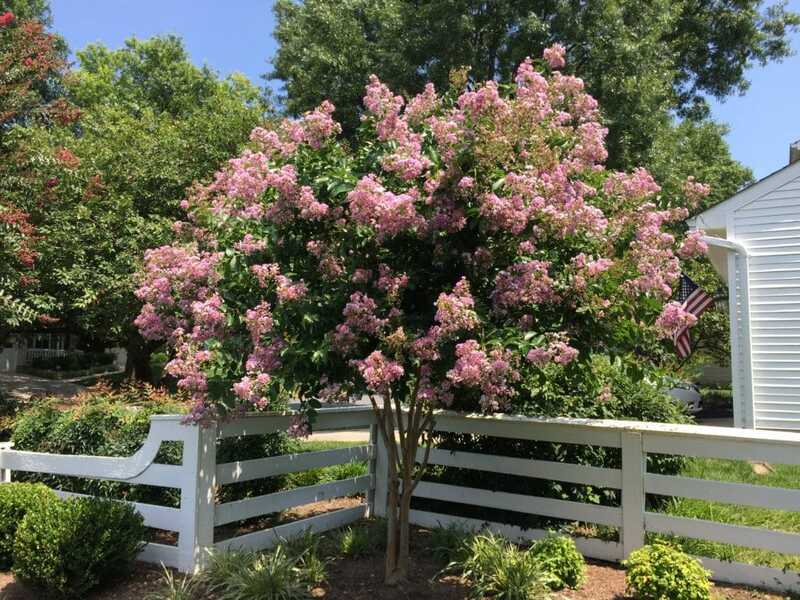 This flowering tree is an excellent alternative to the lilac bush, which doesn’t grow well in zones that have warm Winters. It’ll begin to bloom during late Spring (sometimes even early Spring!) and will continue to bloom through Summer and into the Fall. 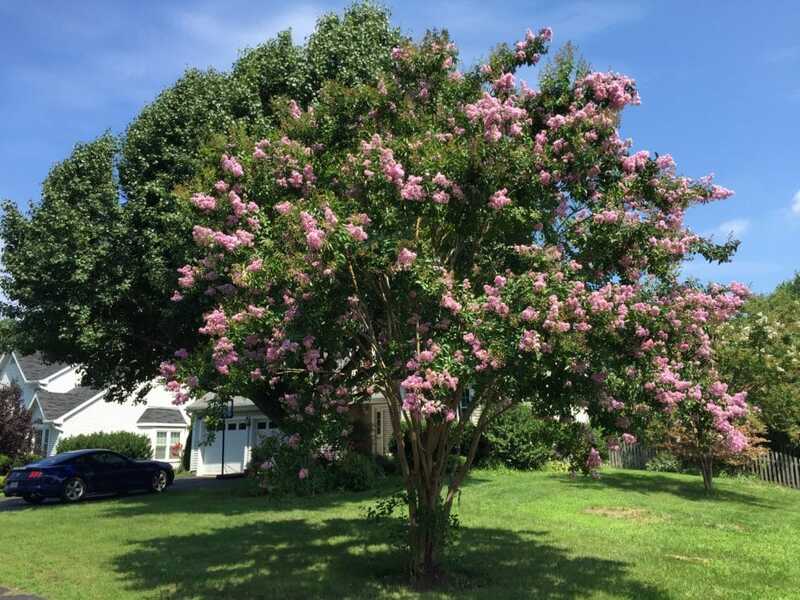 If you long for tall trees with generous clusters of flowers that can withstand high temperatures and humidity, then the Crepe Myrtle is an excellent choice. Tree varieties can grow 15 to 20 feet tall, while dwarf varieties can grow 12 to 24 inches tall. You can find varieties that bloom gorgeous white, purple, or pink flowers. The trees are thin and multi-stemmed, which gives it a look similar to lilac bushes. I personally LOVE Crepe Myrtle trees because they grow so well where I live (Southern California). We get especially hot Summers and warm Winters here with very little rainfall, and these beautiful trees STILL produce such vibrant blooms. If you’re ready to grow a few (or just one!) of these beautiful trees in your yard, these tips are going to help you make sure they thrive. Let’s get started! 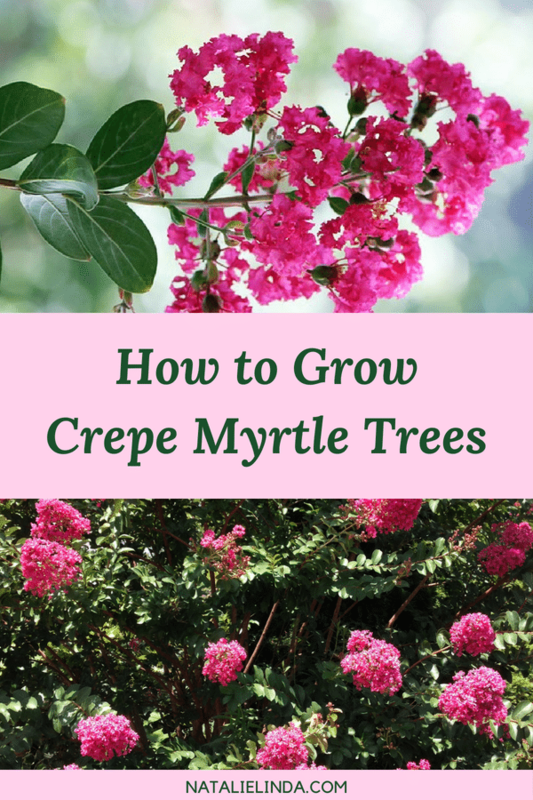 Crepe Myrtles can be planted in the early Spring or Fall, before the first frost. However, if you purchase a pot that’s already blooming, you can plant it in late Spring or Summer, as they’re known to transplant well. When you bring it home from the garden center, give the pot a good watering. You want the root ball to be moist when you plant it. If you plant it when it is dry, it has a poor chance of survival. First, you’ll want to make sure you pick the perfect spot for your tree. The spot should get plenty of direct sunlight each day, at least 6 hours. The spot should also be slightly elevated so that the soil drains well. You don’t want any water puddles around your tree! Well-drained soil with a pH level is 5.0 to 6.5 is ideal. Once you choose your spot, dig a hole that is the same depth as the pot the tree came in but twice the diameter. Gently remove the tree from its pot so that the roots stay intact, and place it into the hole. Remember this important tip: Do not plant this tree too deeply into the ground. In fact, you want the root ball to be just slightly under the topsoil, even if it’s still visible after planting. After planting, water the area generously to help establish the roots in their new home. You can help lock in moisture and keep the soil cool by placing mulch around the base of the stem. After the initial watering, you can water once a week or a few times a week during the Summertime. 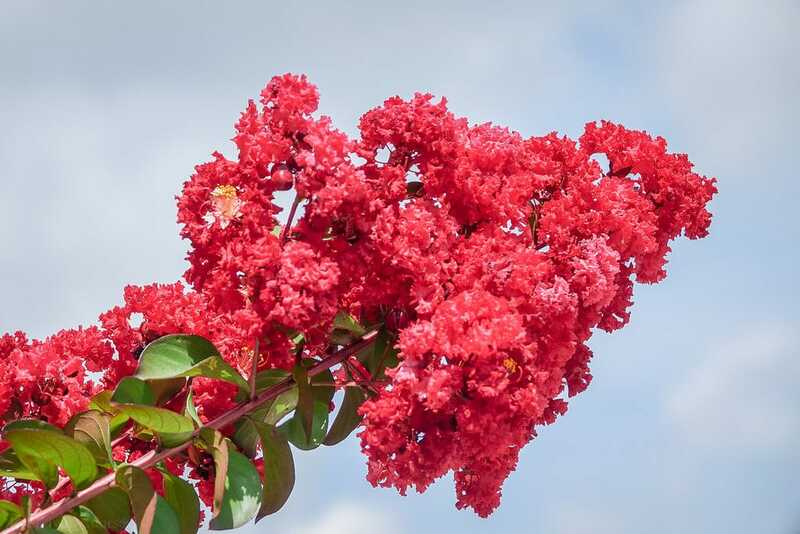 As with most plants, regular watering those first few weeks will help your Crepe Myrtle get strong and healthy. Fertilizing your tree can prove beneficial. Do not, however, over-fertilize. In early Spring, try working a high-nitrogen fertilizer into the soil. Repeat again after two months for best results. Fertilizer will help your tree produce full, beautiful blooms. 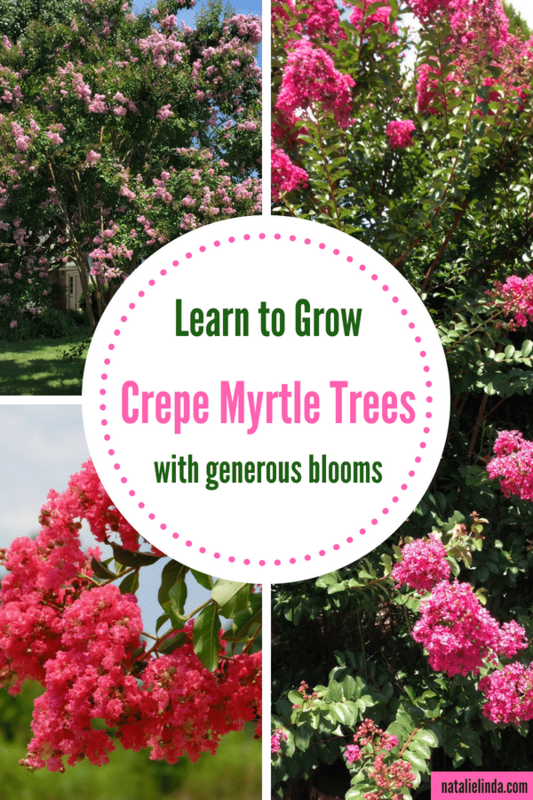 Here’s the good news: if you plan to grow your Crepe Myrtle as a tree, then you don’t need too much pruning! Many people don’t believe in pruning their crepe myrtles, preferring to let them take their natural shape. However, pruning can help the tree produce prettier blooms. If you see dead flower heads, you can go ahead and deadhead them as you would any other flower. If you’re going to prune, you should do it in late Winter. Why? You can also cut off any smaller shoots (aka suckers) that grow from towards the bottom of the trunk. Pruning is an important part of keeping your tree healthy. It’s important to prune correctly, however, so that the tree can produce the kind of blooms it’s famous for. When to Prune: Prune in late Winter! Pruning before Winter can make your tree susceptible to Winter freeze, which will ruin its chances of flowering.